Mar Sem Fin in Ardley Bay, Antarctica. Photograph by Ruslan Eliseev. The Authors: Dr Jan Lieser and Dr Tomas Remenyi are researchers at the Antarctic Climate & Ecosystems Cooperative Research Centre (ACE CRC) of the University of Tasmania in Hobart, Tasmania, Australia. 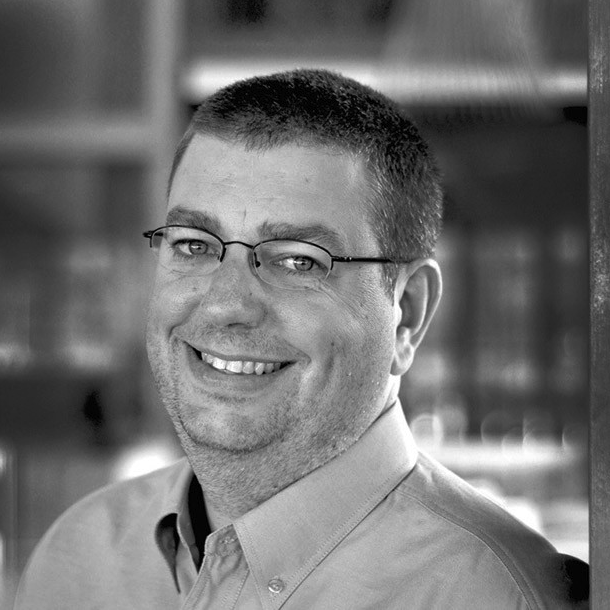 Jan Lieser is a meteorologist and sea-ice scientist, with a career of more than 20 years of developing remote sensing applications, field-based experimental research and numerical modelling of sea ice. He has spent more than 450 days at sea on various icebreakers in the Arctic Ocean and Antarctica and leads the sea-ice service of the ACE CRC. Tomas Remenyi is a chemical oceanographer and climate scientist. 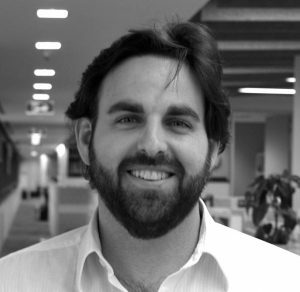 He is a part of the ACE CRC’s Climate Futures group, who specialises in translating climate model outputs into tailored, usable climate impact advice for public and private organisations. Ice service provision is a crucial element of safe and efficient operations in polar regions. The master and officers of any vessel sailing in potentially ice-covered waters require good, accurate and complete weather and sea-state forecasts as well as hydrographic information for the best possible analysis of sea-ice conditions to enable considered route planning. It is therefore vital that the right information reaches the right audience at the right time. However, it is not just sea ice and its various geophysical qualities (thickness, concentration, drift, state of development) that are of concern to polar and sub-polar mariners, but also ice of land origin (icebergs), which poses a major threat to any vessel. Due to the different material properties of frozen sea water versus snow compacted over hundreds and thousands of years, even small fragments of largely submerged glacial ice can inflict substantial damage to a ship’s hull and consequently compromise its integrity. Monitoring of sea-ice conditions should therefore always be accompanied by a vigilant search for icebergs of all shapes and sizes. To access coastal facilities such as harbours or stations, a sea-ice passage has to be planned carefully, but for other operations only in the proximity of sea ice (for example, blue-water research or commercial interests near the sea-ice edge) advice on sea-ice avoidance is needed. Consequently, two different kinds of information are generally required, depending on the type of operation and vessel: charts of sea-ice geophysical parameters based on remote sensing data from a variety of sensors (see Figure 1); or specific routing advice for certain areas valid for a limited time based on expert assessments and available meteorological and oceanic forecast fields. These are typically provided by ice services managed by many nations (with various levels of coordination depending on the location globally). Fig. 1: Example of an ice chart for the Baltic Sea. A lot of specialised knowledge by the analyst goes into the preparation of such charts and it requires a skilled expert to interpret correctly (source: SMHI). For a best possible analysis of current conditions, so-called ‘now-casting’, a synoptic view of all available sources of information is required. Such sources are usually provided by national weather agencies and include various kinds of space-borne data collections supplemented by surface observations of weather and sea-state. Charts like the one shown in Figure 1 are produced daily and distributed directly to operators in the area. Based on the information in these analyses master mariners make their tactical decision on where to turn, or not. The question ‘to turn, or not to turn’ becomes relevant when vessels operate at the limit of their respective capacity to withstand the environment, that is temperature, wind, waves and ice. 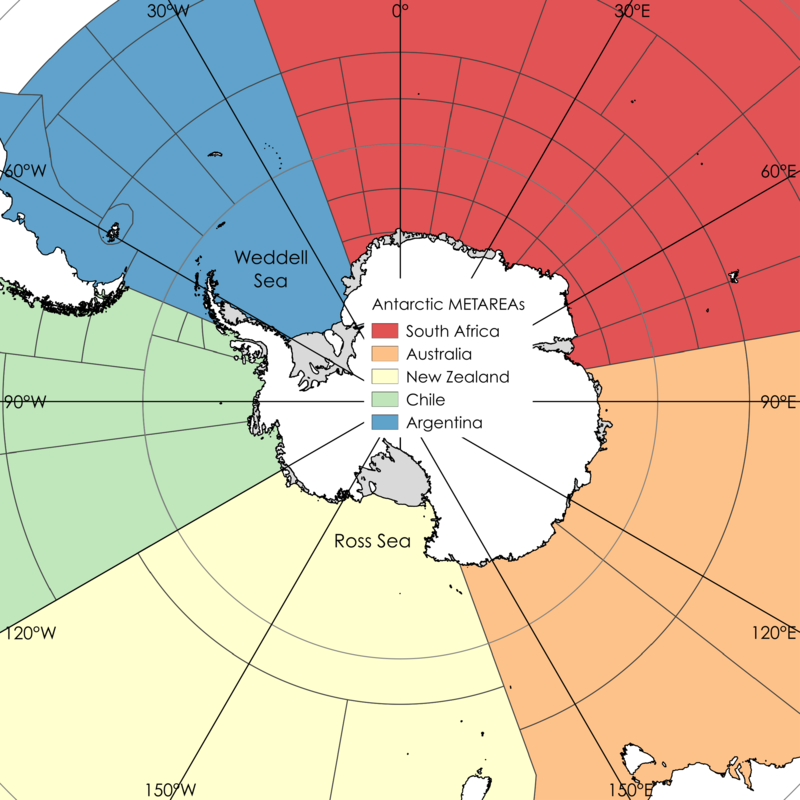 Between 2007 and 2012, the Antarctic and Southern Ocean Coalition, a non-government organisation reporting to Antarctic Treaty Consultative Meetings reported 18 ice-related incidents that resulted in 28 fatalities in the Antarctic. All kinds of vessels were involved in such incidents, including yachts, fishing vessels and cruise ships. This highlights the need for a concerted, international effort to prevent damage to life and vessels in the first place, to minimise search and rescue requirements and therefore reduce the impacts on national programs and operators. Fig. 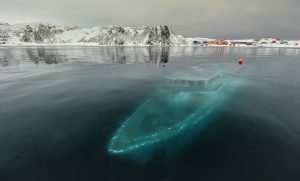 2: The sunken yacht Mar Sem Fin in Ardley Bay, Antarctica. Photograph by Ruslan Eliseev. A prominent example of vessels experiencing distress in Antarctica is the besetment of MV Akademik Shokalskyi in 2013, which got trapped in thick and deformed sea ice and required assistance when passengers and crew were endangered. The rescue operation disrupted national Antarctic programs of four other nations by drawing from their resources when four icebreakers were ordered by the Australian Maritime Safety Authority (AMSA) to help to avoid a human and environmental catastrophe. All passengers were eventually airlifted to another vessel and the crew managed to save the ship and sailed back to port. 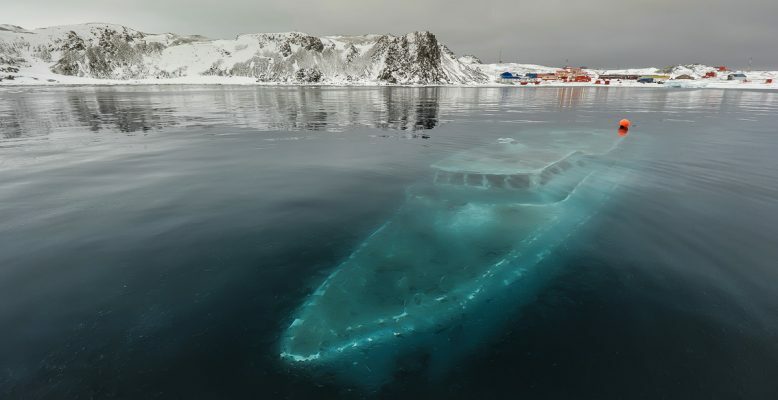 Another example is the sinking of the Brazilian yacht Mar Sem Fin, which was crushed by ice in Ardley Cove, Antarctica, where all crew was rescued but the ship sank and was salvaged later. What modes of sea-ice service are available? For the Baltic Sea and the Arctic Ocean, many northern hemisphere nations are providing various levels of sea-ice service ranging from research based climatological/seasonal sea-ice outlooks to operational sea-ice routing advice, including short-term forecasting of conditions, and on-site assistance. These efforts are typically quite well coordinated on a local level (for example, in the Baltic) and are regularly reviewed, with routines and practices adapted during multi-lateral meetings. Examples of such meetings include the annual International Ice Charting Working Group (IICWG) meetings and Ice Analysts Workshops, which are organised by IICWG and the Joint WMO/IOC (World Meteorological Organisation/Intergovernmental Oceanographic Commission) Technical Commission for Oceanography and Marine Meteorology (JCOMM) Expert Team on Sea Ice (ETSI). a dedicated Sea Ice Challenges Workshop organised by the Council of Managers of National Antarctic Programs (COMNAP; in Hobart, Australia in 2015). At present, only a few nations provide publicly available sea-ice anaylses, assessments or forecasts. 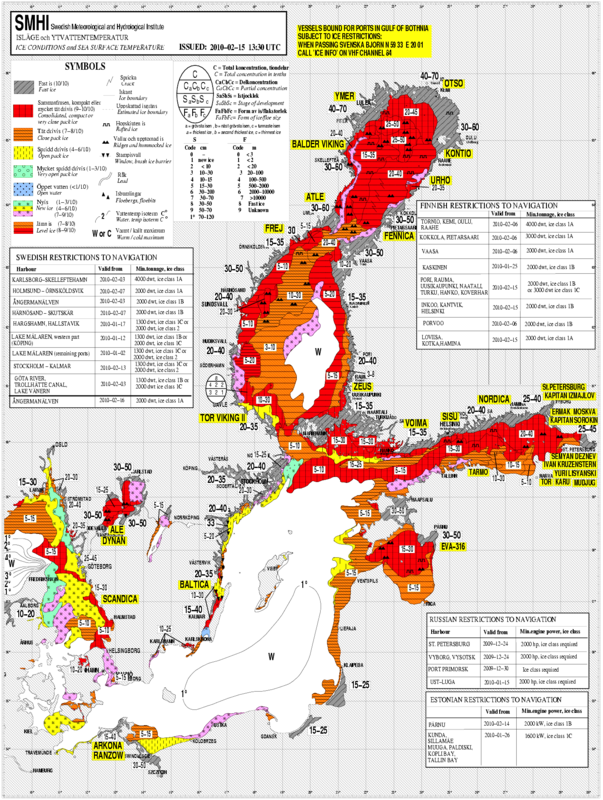 Weekly sea-ice charts are produced for the entire Antarctic sea-ice zone by the US National/Naval Ice Center (NIC) and Russia’s Arctic and Antarctic Research Institute (AARI) on alternating weeks. The NIC additionally prepares dedicated charts for the Ross Sea. The Norwegian Meteorological Institute’s Ice Service produces focussed, weekly charts for the Weddell Sea, addressing a demand from European research institutions primarily located in that sector of Antarctica. Additionally, the Argentine Navy publishes regular analyses of sea-ice conditions for the Weddell Sea and the Western Antarctic Peninsula. Routing advice is typically delivered directly to ship operators and not publicly available. For the Antarctic, national meteorological or oceanographic agencies provide tailored advice to their respective operations program. This results in multiple overlap of service and partly inconsistent levels of service. Similar to the way any weather service plays a crucial role in everyday life to society, sea-ice forecasting and analysis services offer advice for safe and efficient operations in the sea-ice zone. Timely and comprehensive advice issued by a competent service provider to polar operators will protect assets and the environment, reduce search and rescue requirements and, ultimately, save money. To the same extent aviation forecasting is essential for aircraft operations, marine forecasting – including weather, sea state and sea ice – is assisting mariners in polar regions. Therefore, the coupled system of atmosphere and ocean with sea ice at the interface between the two must be considered. Sea-ice data may be distributed either as higher level (processed) data or as image files with respect to a geographical reference frame. Rapid access to the data products for the analyst is critical for an effective appreciation of any sea-ice information during the interpretation process and when producing sea-ice charts. Remote-sensing data are typically obtained directly from space agencies operating the respective satellites, but there are also semi-commercial operators offering useful sea-ice data on a fee-for-service basis. A framework to create sea-ice analyst and forecaster competency standards is currently under development with input from IICWG and JCOMM ETSI. This aims to establish consistent levels of know-how and procedures for service providers, so that the receiver of sea-ice advice can be assured to get a consistent message regardless of the provider much in the same way an aircraft pilot receives standardised advice around the world. It is desirable to operate consistent and verified forecasting models for both the Arctic and Antarctica. For the Arctic, the Sea-Ice Prediction Network (SIPN) has coordinated a Sea-Ice Outlook, a seasonal summer sea-ice prediction exercise, for ten years. SIPN produced with this an incentive to develop a reliable forecasting capacity within the research community, which can be transferred to operational use. This year, SIPN-South solicited and coordinated an initial effort to predict the sea-ice maximum (winter) extent in Antarctica and preparations are underway to extend the application in a hope to offer a catalyst for the development of a combined Southern Ocean forecasting system, even though there is much less operational and commercial demand for such a service in Antarctica (compared to the Arctic). Geographical sea regions for the purpose of coordinating the transmission of meteorological information to mariners on voyages through international and territorial waters are called METAREAs. These regions are part of the Global Maritime Distress Safety System (GMDSS) and are identical to so-called NAVAREAs, which are used to coordinate the transmission of navigational hazards (including ice) to mariners. JCOMM is the responsible agency for the coordination and dissemination of this information for METAREAs and NAVAREAs. masters, chief mates and officers in charge of navigational watch must have completed appropriate basic training (for open water operations), and advanced training for other waters, including ice. STCW: the International Convention on Standards of Training, Certification and Watchkeeping for Seafarers for the training component. By enforcing these requirements, the code replaces the IMO’s Guidelines on Voyage Planning for Passenger Ships Operating in Remote Areas (Resolution A.999(25)), which only recommended a special appraisal of the particular circumstances ships can encounter when operating in ice-covered waters and the code also succeeds IMO’s Guidelines for Ships Operating in Polar Waters (Resolution A.1024(26)), which stated that all ships should be provided with ice-routing equipment capable of receiving ice and weather information charts, and capable of receiving and displaying ice imagery. The Polar Code’s safety component applies to all ships certified under SOLAS, that is cargo ships larger than 500 gross tonne and all passenger ships. This excludes yachts, fishing vessels and vessels on government service. New ships (constructed on or after 1 January 2017) have to comply with the safety component on delivery and all other ships on their first-intermediate or renewal survey, whichever comes first after 1 January 2018. Existing and new ships certified under MARPOL are to comply with the Polar Code’s environmental requirements by 1 January 2017. This includes fishing vessels that carry a MARPOL certificate even in the absence of a SOLAS certificate. availability and use of ice navigators. National agencies continue to work towards protecting assets and the environment and enabling safe and efficient polar shipping by providing information on the key polar marine hazards of sea-ice and icebergs in the form of analyses, charts, bulletins, individually tailored advice and specific training for mariners. So next time you see a picture of that grand ship sailing through those icy seas, spare a thought for the sea-ice services that are essential for operations in those polar regions. Most impressive Drs Lieser and Remenyi! Hope you both have a productive and freezing cold Christmas. Cheers Mike, nice to hear from you. Take care, wherever you are and whatever you do; we’ll do the same.